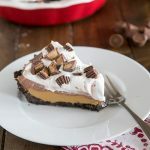 Before we get to the treats, I wanted to show you a new feature here on Dinners, Dishes, and Desserts. 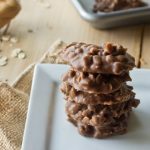 I have partnered with Ziplist to bring you the ability to save your favorite recipes to a Recipe Box. 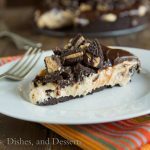 Not only can you save your favorites from Dinners, Dishes, and Desserts, but tons more including Martha Stewart, Simply Recipes, Recipe Girl and more. Plus, you now have the ability to create a shopping list based on the recipes you saved. I am very excited for this, and hope it makes things a little easier for you! 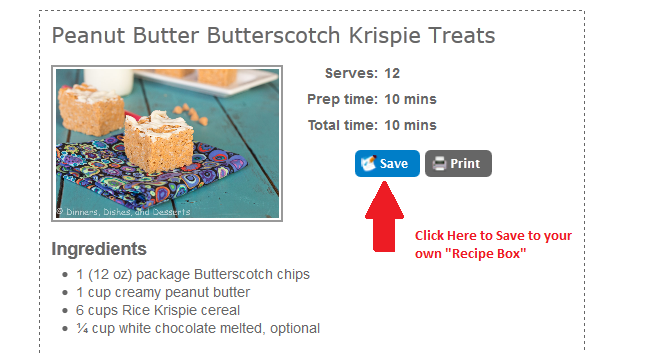 Just click the “Save” button in the recipe to add it to your recipe box. You will notice at the top of the page “Recipe Box” is now a menu item. This will take you to all of your saved recipes. This recipe is long over due. I made it probably a month ago, and the teachers at my sons school have been patiently waiting for it. I don’t really blame them, these are kind of amazing. For 3 ingredients, and 10 minutes of work, I am not sure you can do any better. I am usually not a big Rice Krispie treat fan. I know, crazy! 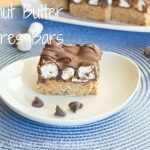 But Aimee posted these bars, I had tons of butterscotch chips that needed to get used, so it was perfect timing. Well, it was a good thing I was taking them to school, because I could not stay away from them! 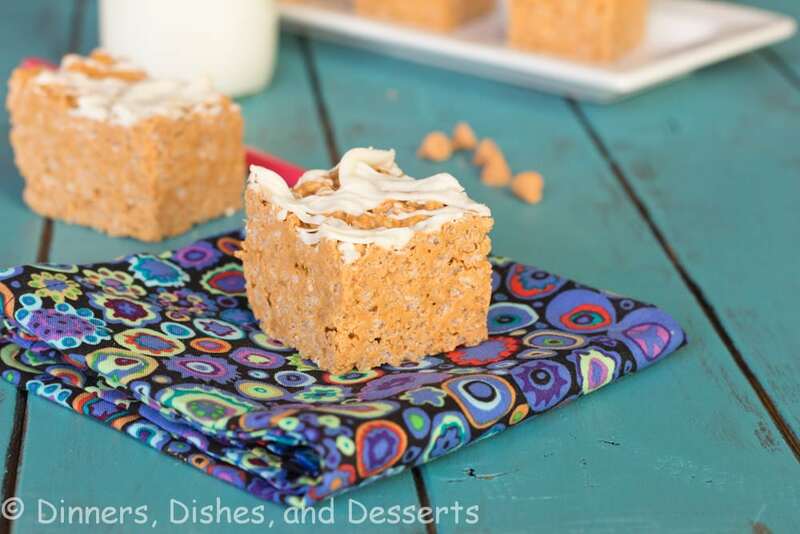 If you like butterscotch, these are totally for you! 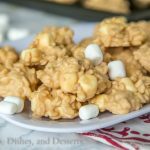 They aren’t your traditional, gooey Rice Krispie treats. 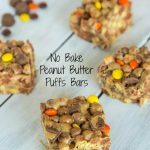 They are just full on butterscotch and peanut butter flavor. Sounds like kind of a strange combination, but you have to trust me, it is perfect together. When I was at school last week, I was asked when I was posting the recipe, because they had been stalking my blog. So I am pretty sure I am not alone in thinking how great these are! 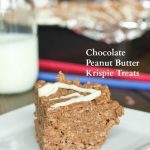 Peanut Butter, Butterscotch, and Rice Krispies make one amazing no bake treat! Line an 8x8 baking dish with aluminum foil. Set aside. Measure cereal into a large bowl. Set aside. 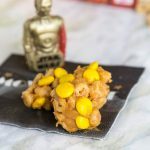 Melt peanut butter and butterscotch chips together until smooth. Pour over cereal, and mix until well coated. Mmm these sound so tasty! Yum, I do love me some rice krispie treats. They are soooo irresistible! Oh, those teachers better give your son all A’s on principle! Wow, this looks fantastic. I can see why you’d get them out of the house as fast as possible. I’d be munching on them all day. These look wonderful! Nice! Ziplist! Love it! We make something a lot like this and they are always devoured the same day that they are made! The flavors in these sound great! yay ziplist! 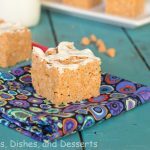 i love how thick these krispie treats are!! I’m a big fan of the ziplist feature! I wish I’d always used it. 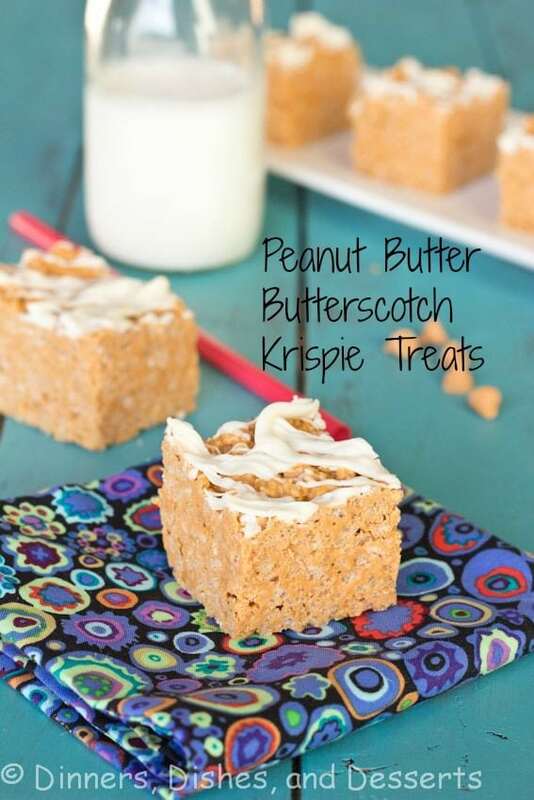 I love krispie treats and butterscotch! These look addicting! I love these Erin! 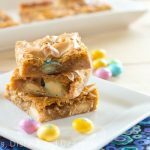 Anything butterscotch is a winner for me! And I also started using Ziplist recently- it’s so great right? 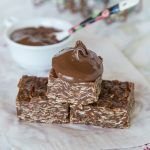 you can’t beat easy to make 4 ingredients sweet treats! 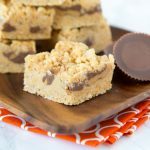 I love the peanut butter and butterscotch combo! My sister and I have been making those for Christmas cookie trays since I was a teenager. Always a hit, and so easy! These look incredible! 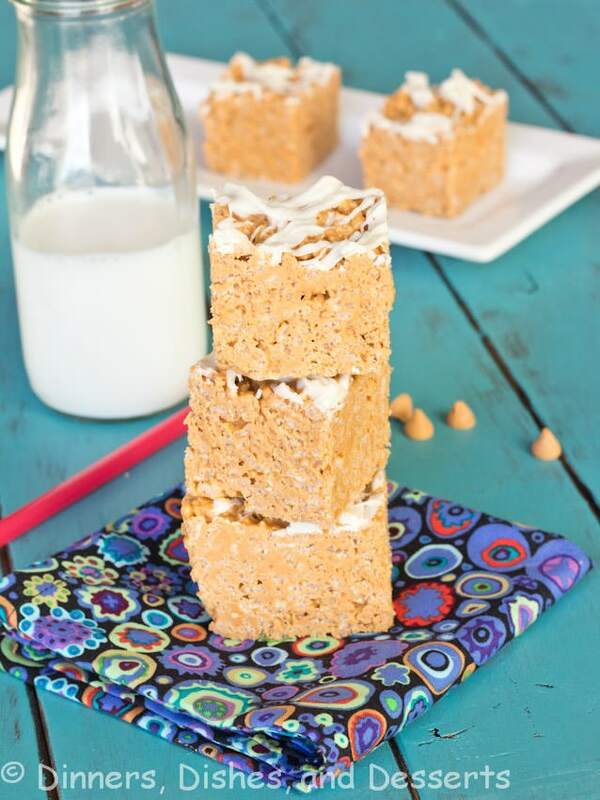 I love a great rice krispy treat bar and yours is certainly kicked up! 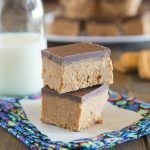 I got this recipe from my Aunt when I was young, these are awesome bars!!!!! YUM! !